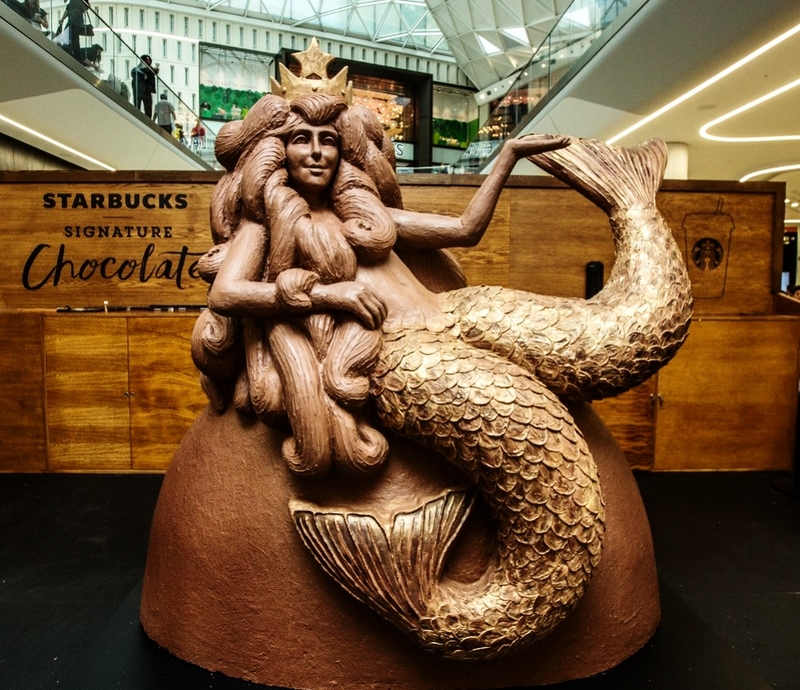 The ’Two Jennies’ celebrating the completion of a chocolate Mermaid at West Field Shopping centre, London. August 2018, at the end of the hottest heat wave since the 1970’s in the UK. This was the biggest challenge to date for the Chocolatician team. From the creator of the Cumberbunny, The Chocobatch and a 10ft long chocolate orient express and many other edible showstoppers like the Chocolate Queen at 90 and the Chocolate Mermaid, the new brand is tempered and set….Chocolatician . 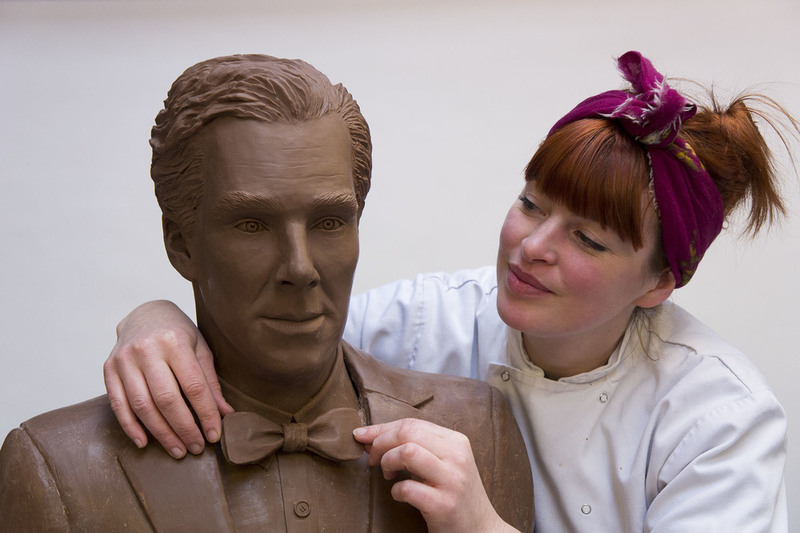 Chocolatician was launched in 2015 with a life sized chocolate Benedict Cumberbatch figure, the big push that brought Jen Lindsey-Clark and her team into the limelight after this iconic chocolate man brought much attention and adoration from fans around the world. These fans were delighted to receive the news that a miniature version (The Cumberbunny) with ears and a tail would be available to purchase for Easter 2016. 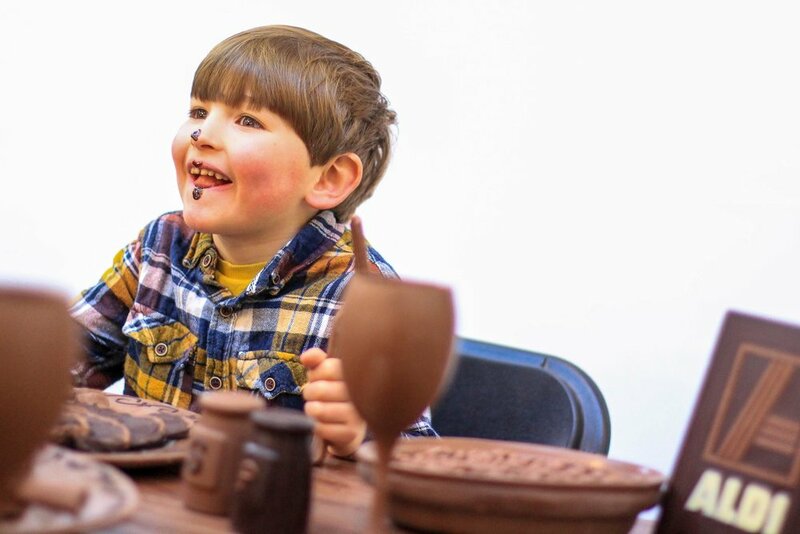 Sending Chocolatician into viral heights on social media the Queen was next for the chocolate treatment and a pure chocolate bust of Her Majesty wearing an edible crown and jewellery was created to celebrate her 90th Birthday. 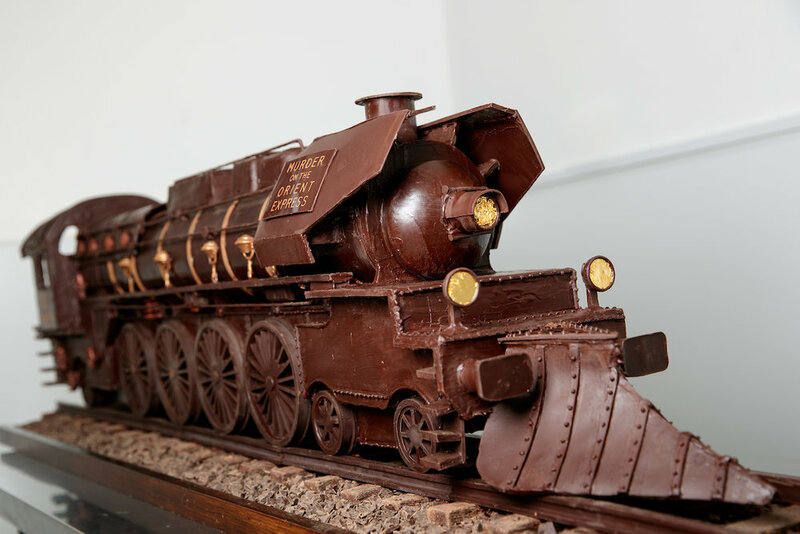 An enormous chocolate Thomas the Tank engine was 2017’s Easter gift from Chocolatician to the Uk, an amazing pre-runner and theme setter for the Godiva Chocolate train inspired by the film ‘Murder on the Orient Express’, displayed at the film’s world premier at the Royal Albert Hall on 2nd November at the top of the red carpet. The Train was then on show for two months at the magnificent St Pancras Station until it set sale on the Queen Mary II for a christmas cruise to New York City and back! By combining their edible artistry skills with other sculptors and creative individuals, Chocolatician are redefining the parameters of the chocolate world. 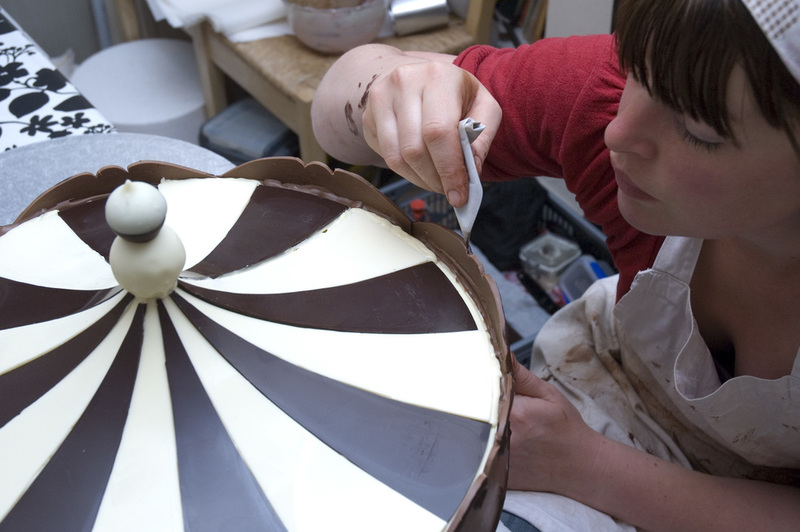 Chocolatician is fast becoming the go to for chocolate artistry, choc props and bespoke gifts. Those that are feeling inspired are also signing up to workshops and experience days.